Branded cabana pillows for your next promo campaign! Branded Cabana Pillows are an excellent promo item to increase your brand awareness. Summertime is a key time where marketing ideas can help companies to be seen. Key sectors like drinks, ice-cream, music, restaurant and hospitality industries and many others take advantage of marketing opportunities. 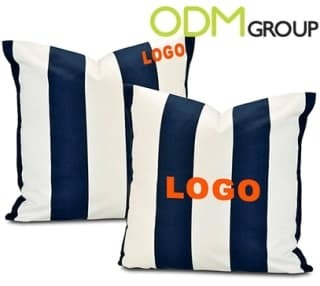 This is why we are promoting advertising and marketing around beach cabanas and coffee houses, but these pillows can also be for bars and night clubs. Branded Cabana Pillows will make any interior cosy and will boost your brand image. How these branded cabana pillows work better than other promo items? Branded cabana pillows are a classic item, but there are so many ways of customization! 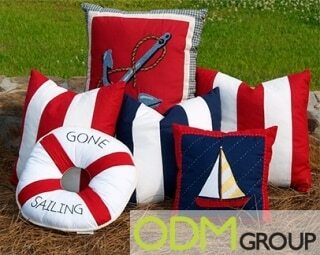 We would advise to consider the following points in order to get a perfect pillow that can suit your interior and satisfy marketing needs. Take a look at different materials. For the branded cabana pillows it is better to have waterproof materials or waterproof lining. Very dense cotton, linen or leather/PU leather or even canvas also would work great. 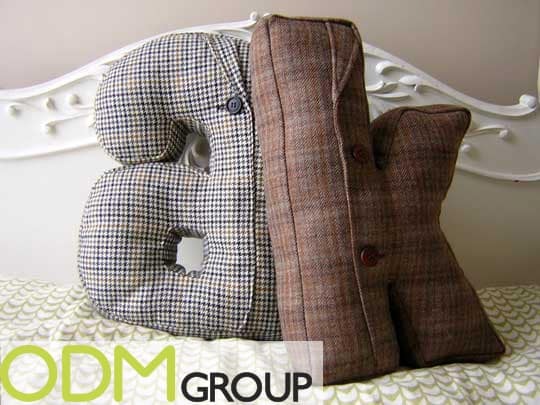 It is very trendy these days to make promotional pillows with different textures. 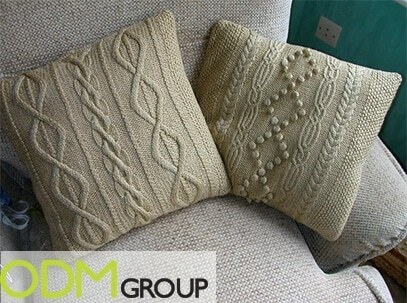 Using pillows indoor you can have a great variety of materials such as fur, velour, silk, velvet, or you can make a knitted texture. Consider different shapes and sizes. The pillow can be in a shape of square, rectangular, round or it can be also have customized shape according to the clients design. Big letters from your logo would look very nice. Standard size pillow has a large printing area where you can place the logo of your company and the image. Strong logo will work great for good visualization. The logo can be printed or embroidered, depending on your design. Choose any pantone colour, which matches your corporate style. To get your customers attention it is also good to choose useful and creative promotional items. Branded cabana pillows with a strong design will be an eye-catching marketing tool. Contact us if you are keen on having these great pmotional item being part of your marketing campaign. If you are looking for unique design you can contact our in-house product design team at Mindsparkz. ODM also make tents which can be used to shelter from the sun. Another item you might want to consider for poolside and beach parties might be giveaways or gifts with purchase for drinks. What complimentary marketing products might you also suggest to go along with Branded Cabana Pillows?